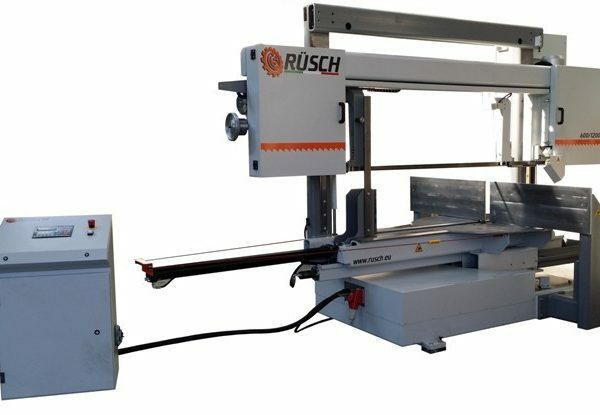 Semi-automatic band sawing machine for cutting angles, twin supporting columns sliding on linear recirculating ball guides, electronically controlled rotation and lock to the desired angles. 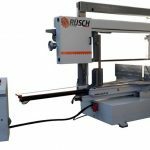 Ideally suited to automatic cutting lines with loading and unloading. High performance combined with a cutting accuracy even under the toughest conditions. Sawing machine that sits at the top of its field. Electrical locking of the swivel base to the level set. Digital readout for angled cuts. Pressure-reducing valves of the vice jaws (allows cutting thin walled tubes without deforming). Blade returns to top of cut at end of cycle. Machine shuts down when not used. Cuts angles + 60 ° -60 °.